"All the Light We Cannot See" is a novel written by American author Anthony Doerr. Author Anthony Doerr will be at the Free Library of Philadelphia on Tuesday, April 11. Tickets to meet the award-winning author go on sale Friday, Feb. 24 at 10 a.m.
"All the Light We Cannot See" is one of Doerr's best known books. The imaginative story earned him the 2015 Pulitzer Prize for Fiction, the Andrew Carnegie Medal for Excellence in Fiction and a spot on the New York Times bestseller list for two years. Without giving too much away for those who haven't read it, "All the Light" is about a blind French girl and a German boy navigating the carnage of World War II. On the Pulitzer website, the book is described as, "An imaginative and intricate novel inspired by the horrors of World War II and written in short, elegant chapters that explore human nature and the contradictory power of technology." All who attend the Free Library event will receive a copy of "All the Light." It is included in the $25 ticket price. Doerr has won numerous prizes both in the United States and overseas. Awards include four O. Henry Prizes, three Pushcart Prizes, the Rome Prize, the New York Public Library’s Young Lions Award, the National Magazine Award for Fiction, a Guggenheim Fellowship and the Story Prize. 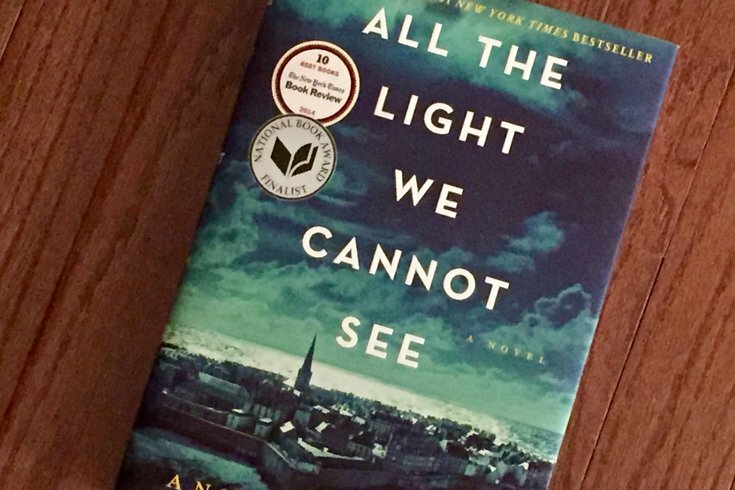 Anthony Doerr on "All the Light We Cannot See"